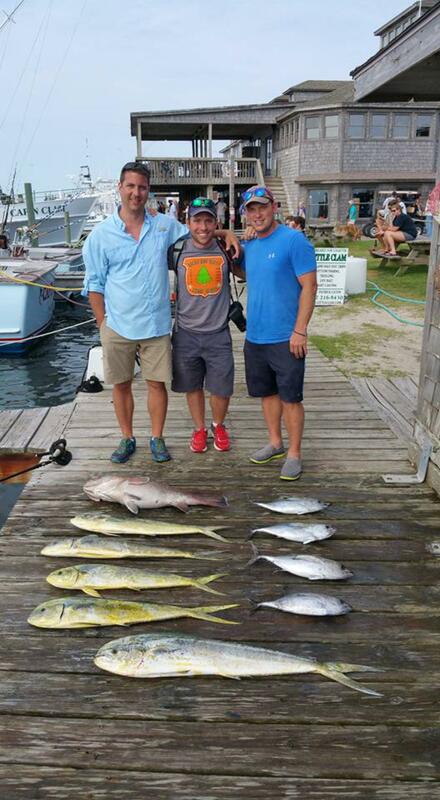 Hatteras Fishing Report for 6/14/2016 -- Looking for a marlin today. We saw two sails first thing this morning. We got a bite out of one but pulled him off. Rode around in the deep the rest of the day but never saw anymore marlins. Did scrap out some dolphins and blackfins for dinner and made a deep drop for a nice snowy grouper. Back at it tomorrow.